Why Simply Butterflies Conservation Center is special ? Simply Butterflies Conservation Center is the first butterfly livelihood breeding and conservation program in Bohol. Its main goal is to protect and strengthen the natural environment of the butterflies through plant research, breeding and releasing. Aiming to raise the butterfly population in Bohol, the Center also seeks ways and means to bring money into the local economy using butterflies and butterfly by-products. Local town folks have been taught how to breed butterflies and at present, a community of paid breeders has been formed. Simply Butterflies Conservation Center is located in Bilar, and has a visitors center where people can observe hundreds of species of butterflies. The center not only has butterflies on display, but also breeds them for sale, and planned release in the environment, following internationally accepted standards for conservation. 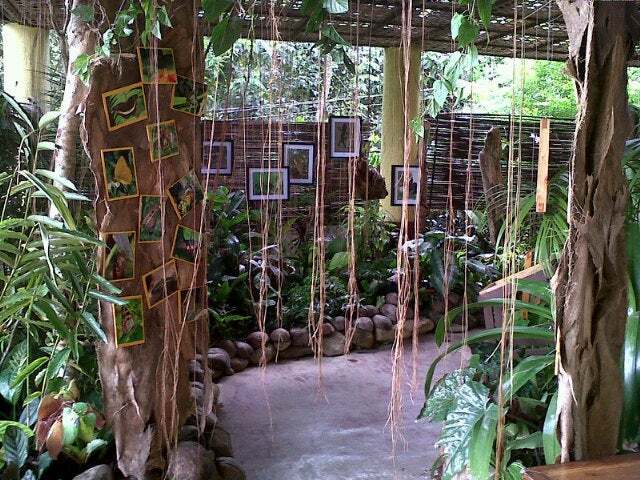 What to explore at Simply Butterflies Conservation Center? 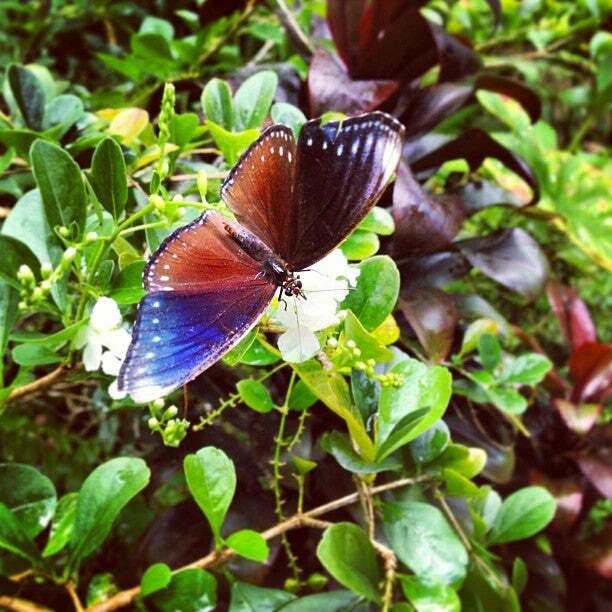 The Butterfly Conservation Center has both a Butterfly garden and a Butterfly enclosure. The garden is in an open landscape with flower garden that attracts butterfly to feed on them. The place is visited by different species of local butterflies naturally. There are seats, pagoda and a hammock where one can relax under the shade and watch the butterflies flutter by. However, the main attraction is its night safari, which offers a good chance to spot tarsiers in the wild close to Rajah Sikatuna National Park. Even if you don't spot one, it’s a nice experience to walk through their natural habitat, also home to owls, frogmouths, bats, civet cats and fireflies. How to get to Simply Butterflies Conservation Center? From the Tagbilaran airport, take a tricycle to the Bus Terminal and board a bus to Bilar or Carmen. Ask the driver or conductor to drop you off at Simply Butterflies Center. If you’re taking a travel package, you may ask the tour operator to include it in your itinerary. You can buy at the Gift Shoppe which sells butterflies and butterfly by-products. The entrance fee is PHP 50, and the fee for night safari per person is P900 (5.30pm to 7.30pm). Inside the Butterfly Conservation Center you can eat some foods at their Restaurant while watching the butterflies. There’s also a Visitor Center where groups can chit-chat and a Barbeque Stand to grill and eat your favorite barbeques. Off to one side of the garden there is a small tree covered hill, in which a short walking trail has been developed. Here you could find butterflies, birds, insects and other small wildlife. Aside from explaining well about the species on display, the tour guide also take cute photos of you with nice concepts. You will not be bored as the staff will make sure that you are laughing the whole time with them. The car park is a big one! So don't worry about difficulty parking, there is room for everyone. Admittedly I went into this sanctuary expecting very little to interest me. I was however pleasantly surprised by some things. Although it is certainly lacking butterflies for a butterfly sanctuary, it does feature some of the more interesting species that your tour guide introduces you to. The pictures with butterflies on our face were fun, as well as taking pictures that made us appear to have wings. The plants were the most beautiful feature in my opinion as they seemed so colourful and exotic. It's nice for a quick stop, but disappoints for those truly interested in their main attraction: the butterfly. Funny tour guides, they will keep you informed and laughing all throughout the tour with matching photo op tricks that you'll surely love. Fantabulous!